Tania Pasano Storrs, has been involved in the music world since she can remember. Over the years she has worked as a studio musician for Disney and Nickelodeon, performed with various artists in the LA area, including Dave Koz, and has opened as a backup singer for Tower of Power and Michael McDonald. She has served as a Musical Director for Community Theatre, Children’s Theatre and various churches and was an elementary school music teacher and vocal coach. 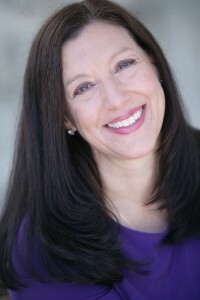 She has extensive experience in Musical Theatre, and favorite roles include Annie in Annie Get Your Gun, Rosie in Bye Bye Birdie and Adelaide in Guys and Dolls. Locally, she has appeared in many Cabrillo Music Theatre productions right here at the Thousand Oaks Civic Arts Plaza, her favorite as “The Bird Woman” in Cabrillo’s Mary Poppins! She is thrilled to have been cast in Cabrillo’s Sister Act coming to Thousand Oaks April 21-30, 2017! She has worked as a professional cantor at various churches in the LA and Ventura Counties, and is currently on staff as a cantor and Choir Director at St. Maximilian Kolbe in Oak Park. Her favorite job is as a studio session singer, and has been a featured vocalist on various CD’s over the years! She has enjoyed being a part of Arete Vocal Ensemble since it’s inception in 2009, and thanks Wyant for enriching her life with fantastic choral works over the years. www.taniastorrs.com.